Cancer presents an ongoing challenge for physicians, particularly in the diagnosis and treatment of the disease. This is, amongst other things, due to tumour heterogeneity. A team of scientists from the Helmholtz Zentrum München, the Jülich Research Center, the Technical University of Munich and the Heinrich Heine University Düsseldorf has now shown that harmless purple bacteria of the genus Rhodobacter are capable of visualising aspects of this heterogeneity in the tumors. With the aid of optoacoustic imaging, the researchers used these microorganisms to visualise cells of the immune system, so-called macrophages (Greek for "big eaters"), that also play a role in tumour development. Many cancers form solid tumours. Inside, such tumours reveal major differences at the cellular and molecular level. One of these concerns the localisation and activity of macrophages. Although these cells are essential for a healthy immune system, they also play a key role in tumoru development. With the aid of photosynthetic bacteria, new optoacoustic techniques, which indicate where such macrophages are present and active, have now been developed. "We were able to demonstrate that bacteria of the genus Rhodobacter, which are harmless to humans, are suitable as indirect markers of macrophage presence and activity," says Dr. Andre C. Stiel, head of the Cell Engineering Group at the Institute of Biological and Medical Imaging (IBMI), Helmholtz Zentrum München. Rhodobacter bacteria produce large quantities of the photosynthetic pigment bacteriochlorophyll a. 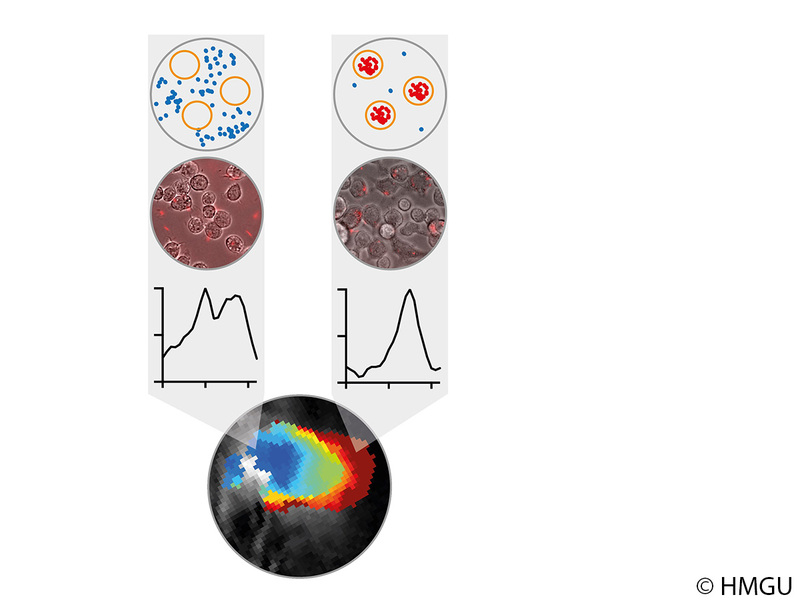 This pigment enabled the researchers to detect bacteria in a tumour by means of multispectral optoacoustic tomography (MSOT). "In further steps, these bacteria will enable novel approaches to non-invasive technologies and so open up entirely new possibilities for innovative diagnostic and therapeutic procedures," adds Dr. Thomas Drepper, who heads the Bacterial Photobiotechnology Group at Heinrich Heine University Düsseldorf. In future, bacteria may be able to reveal the location of a tumour and also detect increased macrophage activity. Depending on their localisation, the macrophages could provide information about unwelcome inflammations or the desired response to immunotherapies, and could ultimately be used to improve treatment strategies.